After over a century, little by little, the legacy of Beau Brummell and his enforced stagnation of men’s fashion is gradually washing away. 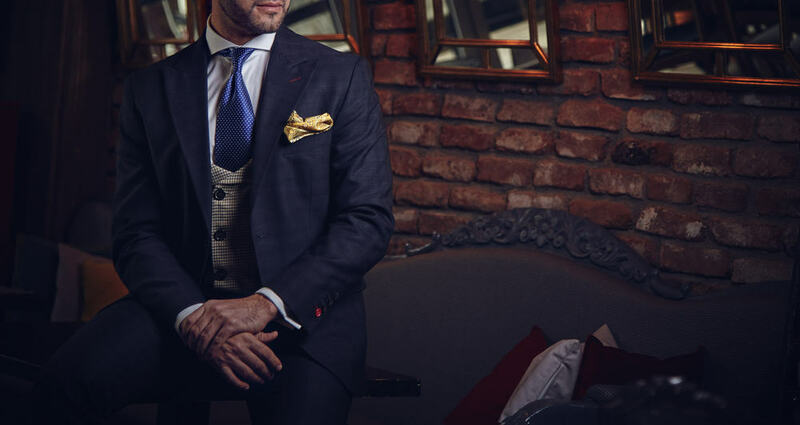 In 2019 there are more and more little and interesting ways to augment, enhance, and otherwise accessorise the classic three-piece business suit. A subtle patch of plated metal, cut into a particularly symbolic or meaningful shape and style. Originally popularised by politicians with flag pins or party logo icons, these upper chest ornaments have recently exploded in popularity as more and more other worthy institutions and causes have realised the power and value of the publicity to be garnered in that sub-shoulder style space. Initially ribbon loops held sway, the red for Aids, the pink for breast cancer, the orange for leukaemia etc. But then it seemed that every football manager and his best friend’s cousin was wearing the strikingly designed “men of men” Men-United enamel pin of Prostate Cancer UK. 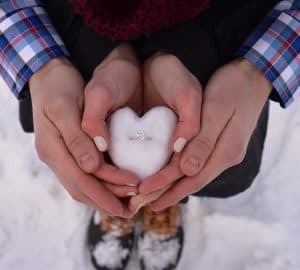 Now it seems that any number of other styles have emerged, and enamel pins can come in shapes symbolising anything ranging from national pride, sports team affiliation, an important personal cause, a favourite fictional character, family history, or just a shard of personal style. Clipped along the cuffs, supplanting traditional linking methods, or slipped between the central shirt buttonholes, shirt studs offer a way to add an extra splash of style to those essential details of sartorial engineering that hold everything else together. At the higher end these can feature polished gemstones, burnished bronze, shining silver, and of course, glittering gold. An unconventional style that is rapidly gaining ground among the affluent and aspirational. These stylish strands can be twisted, threaded, knotted, or otherwise wound into intriguingly simple yet alluringly elegant patterns. A simple slot of shining metal can add an engravable surface that’s perfect for an extra splash of personalisation. For the man who has everything, but wants to carry around a little less of it. 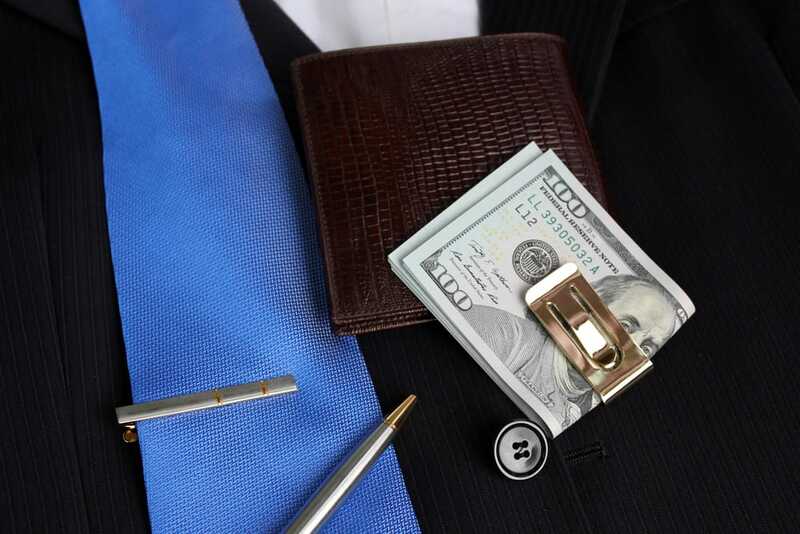 With more and more wallets being solely dedicated to the conveyance of credit cards, money clips make a distinctive statement of minimalism amidst excess. Many can also feature monograms, or other engravable spaces, while others take on bizarre shapes and aesthetics ranging from WW2 identity clickers to nineteenth century Victorian erotica. Keeping your personal items secure is only the smallest part of the purpose of these pocket trouser chains. A splash of silver style or golden grace, often with a well-polished timepiece at one end, but sometimes there could be a classically cut leather wallet, a money clip, a phone case, or any number of other everyday items that suddenly become accessories once they are incorporated into an outfit with a chain. 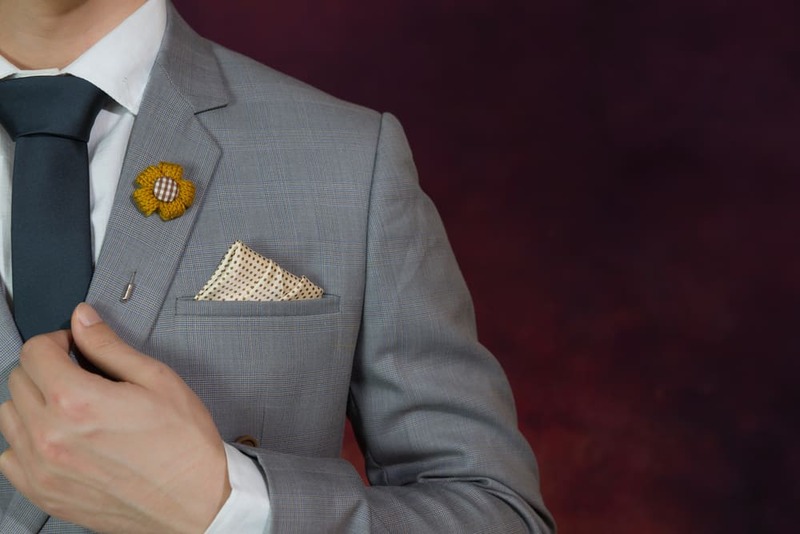 A simple, and arguably unnecessary item, a tie bar or tie pin can become the lynch pin of a good outfit once it’s considered in the proper context of all the other accessories. If you have the steampunk set up of cogs and gears in your shirt studs or on your money clip, a nod to the same on your tie can bring the whole outfit together in a fiesta of fashionable forethought. For those who want to go a little further off the beaten track, leaving the traditional tie behind and heading going a little further into the past than your average #ThrowbackThursday, all the way to the late nineteen-teens. 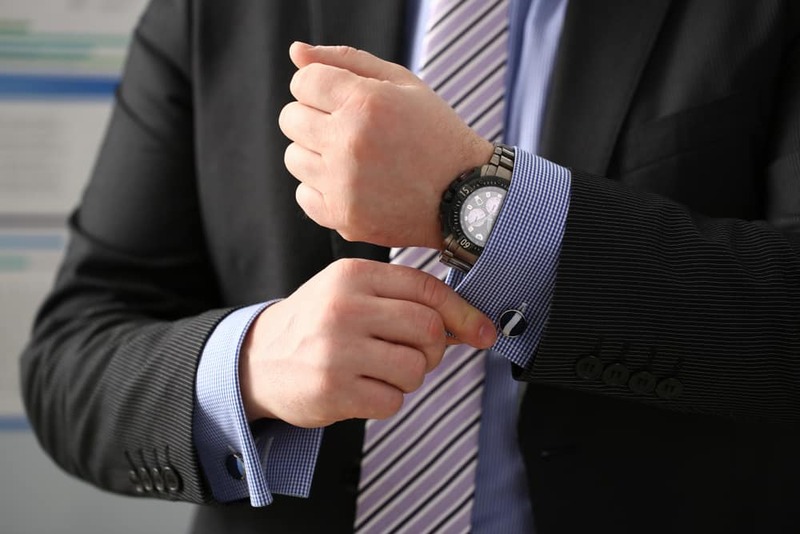 Connecting the collar with a chain of metal or a single bar, especially on a darker shirt where the contrast is much greater, can really make your neckwear stand out. Especially if its part of a much broader old-school sensibility.